Our nation relies on entrepreneurs to push us out of our comfort zone and lead the way forward toward a brighter future. Below, the FPC honors the vision, grit, fortitude, and determination of entrepreneurs that inspire us to press onward regardless of challenges, obstacles, or setbacks. Erik Mathew is President of Software Nation; a Boston-based tech company specializing in custom software solutions, IBM Watson, cloud computing, web and mobile development, UX design and SEO. Erik is a proud United States Marines veteran, entrepreneur and visionary . He started his career at the age of 19 when he joined the United States Marines as a Communication’s technologist . Erik developed his leadership, character and resilience core values while proudly serving with the greatest fighting force in the world through his duties and assignments in Iraq and Afghanistan. After his honorable discharge from the United States Marine Corps , Erik continued his career within the I.T. Sector and started a Cognitive and AI company Software-Nation, in which he utilizes leadership skills and IT knowledge to create a high growth 30 member global team business within the first 2 years of operation. 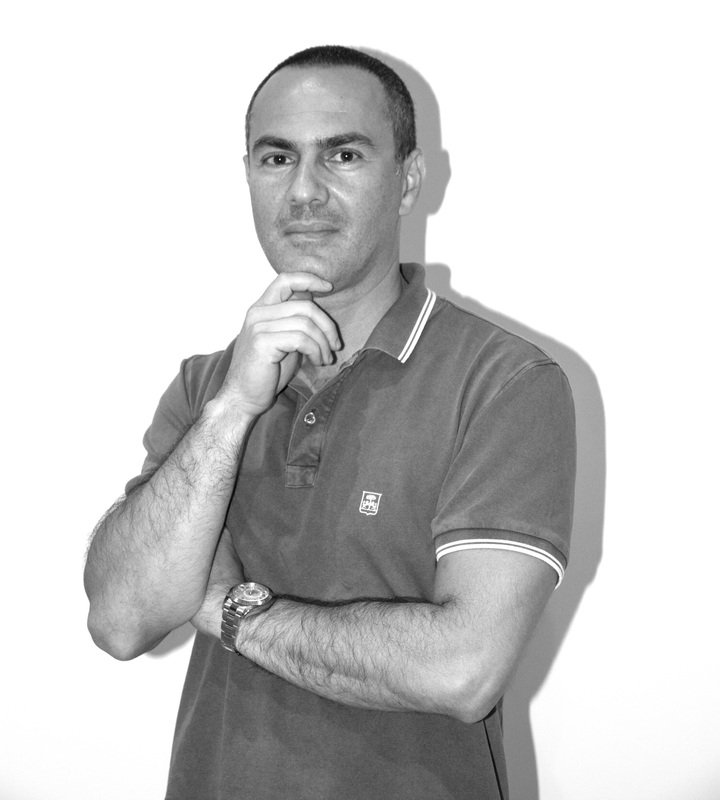 Erik’s vision with Software-Nation has been to improve existing legacy systems as well as deliver new ideas by partnering and co-creation with clients for joint success of developing innovative ideas, enhancing current operations and promotion of their products and services to the marketplace. With Erik’s leadership , Software-Nation’s has been a pinnacle of success by converging the unique ability to focus and commercialize on complex custom solutions to meet market demands and ever changing industry requirements. Neil H. Rothenberg is the CEO and Founder of Paygevity, Inc., an innovative, disruptive and scalable, Supply-Chain, FinTech payment company. Paygevity has a “win-win” business model. It contracts with many of the Fortune 1000 corporations and offers them increased flexibility in their working capital management. At the same time, Paygevity “promptly” pays the selected suppliers to these Fortune 1000 corporations. No longer does a supplier to a Fortune 1000 corporation have to wait 45, 60, or 90 days to get paid on their approved invoices. During the mid-1990’s Mr. Rothenberg was an investment banker at Dillon, Read & Co., Inc. and Prudential Securities Inc. He provided M&A advisory as well as debt and equity underwritings for institutions operating in the financial services sector. In the late-1990’s Mr. Rothenberg was recruited by CIT Group’s Merchant Banking Division. At CIT Mr. Rothenberg provided factoring loans, bank loans, mezzanine loans with warrants, and equity investments to small and mid-size corporations. Starting in 2002 Mr. Rothenberg joined the hedge fund industry as a portfolio manager of Corporate Credit, Fixed Income and Distressed Debt. He managed funds for Ramius Capital Group, an affiliate of Paloma Partners, and M.D. Sass. Mr. Rothenberg holds an MBA in Finance from Columbia Business School and a BA in Political Science from Emory University. Lenny Valberg is an entrepreneur driven by the vision of having at least one VIGO product in every household and hotel in America. He believes that the products you choose say a lot about your personality. As President and co-founder of VIGO, Lenny leads a team of talented professionals and business partners in many areas of business growth – strategy, new business development, manufacturing, logistics, R&D, sales, marketing and technology. Together, he and his team bring an amazing line of high quality and modern products to homeowners who want their kitchen and bathroom to reflect their personality. Lenny loves forging new business relationships with retail partners and uncovering ways to make our products more durable, more unique and more cost effective. He believe VIGO customers deserve the best products at the best price and I work to expand the business based on this philosophy. Having done business in more than 15 countries and lived in three, his businesses have always had an international component to them. His personal style, as well as the style of many of VIGO’s products, has been influenced greatly by other cultures’ designs and traditions. Lenny is always looking at industry trends in other parts of the world, as well as in our own region and is continually on the lookout for business opportunities that will either grow our current business or complement it in some way. As a business leader, building relationships is at the forefront of what he does. Lenny is a graduate of Brooklyn College with a BS in Computer Science and fluent in Russian too. With more than twenty years of international business experience, Alex Lopatine is recognized as a visionary strategist in the realms of finance, banking and technology. His leadership has leveraged technological innovations to disrupt entrenched industries to the benefit of consumers, investors and partners. Currently Alex serves as Managing Director at Paladin (paladin-fs.com), a reputable consulting firm in the banking space, where he leads the newly-created Fintech Advantage practice. The new division will enable community banks and credit unions to access the fintech eco-system, while upgrading their software stack. Alex is also developing various projects in stealth mode that will be unveiled later in 2018. He is best-known for starting up Nymbus.com, the software system revolutionizing the banking industry through a modern and holistic approach to core infrastructures. 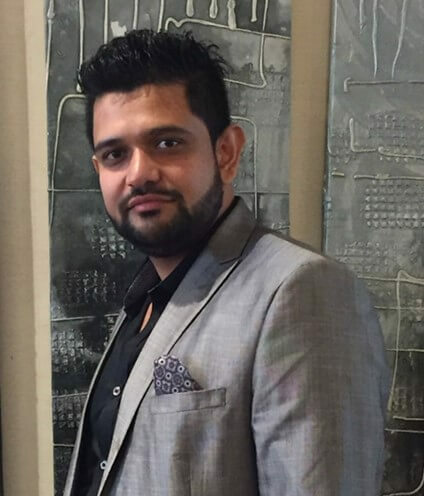 He served as Founder & CEO and was responsible for overseeing the strategy, product, sales, business development, marketing and operational arms of the company. 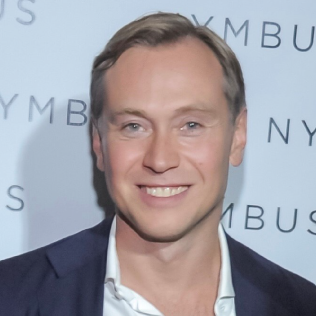 He raised more than $40 million for Nymbus from prominent VCs, such as Insight Venture Partners and international banking groups, such as Home Credit Bank. Past roles include having served as Chief Strategy Officer of Mediaspectrum and Vensure, as well as holding board-level executive positions at several technology and financial institutions. With a true global perspective, Alex speaks three languages fluently, has lived in five countries and has a Masters of International Law. Lakshmi Narayanan, referred as Lakshmi is a professional turned successful serial entrepreneur, impact investor, thought leader, Technocrat, an Engineering Graduate, Post Graduate from London School of Economics and a Fellow of Harvard. Lakshmi is currently heading a conglomerate of technology entities based out of Asian market and part of two fund houses in real estate and education in India and Singapore that are supporting the United Nations (UN) Sustainable Development Goals (SDG), Financial inclusion, Housing for all, Clean air and Clean water, Equal access to affordable education and Eliminating Gender disparity by enabling and empowering using technology. Lakshmi is the executive council member and one of the founders of the largest and the first Financial Advisors Society for Indo Americans (FASIA), a nonprofit organization (www.fasiaamerica.org) that aims to integrate all the licensed professionals of Indo American origin in the United States to embrace the change in the advisory as a profession, educate on the new products and services, enable technology, empower the future generations, engage the community and create woman entrepreneurship. Lakshmi is also the co-founder and executive council member of New York based educational organization White Polar Bear – A global Crypto academy, a nonprofit organization (www.whitepolarbear.org), focused on Democratizing Crypto Education for everyone, and through curriculum based education in schools and colleges with presence in Asia, Europe and Canada. Before becoming as an entrepreneur in the role of a professional Lakshmi served as a board member in Fortune 500 companies, established business in 17 plus countries, traveled 80 plus countries across 6 continents. As a professional he has drafted global strategies, raised and managed capital, built organizations across geographies, launched new products and services, turned around ventures, executed cross border mergers and acquisitions. Lakshmi’s first entrepreneurial venture REBI in 2007, organized the unorganized real estate advisors of 1.8 million advisors across India through a professional networking and technology. Rebi was Indians largest real estate multi location transaction advisory service organization with presence in more than 300 plus locations in India, Middle East, United States, UK and South East Asia. REBI’s current portfolio spread over 1.3 billion USD worth of Assets Under Management (AUM) across various geographies in Residential space. He is one of the early evangelist on smart cities, smart homes, Special Residential Zones (SRZ) instead of Special Economic Zones (SEZ), affordable sustainable housing and housing for all. TASA Asia the educational venture co-founded by Lakshmi, currently present in 21 countries and works with half million students across South East Asia, helping them to access the global education, served more than 150 plus universities to establish their global presence by adding diversified students into their campuses and achieve 300 million USD plus fees collections every year from global students. TASA Asia has empowered 1000 plus housewives as woman entrepreneurs in the South East Asian continent, though technology touch and enable more than a million students every year for career enhancement. Lakshmi is Co-Founder of Delphiads Movement – Global Arts and Culture Olympics for school kids, part of 3000 years historical Delphic games, the games that gave birth to Olympic Games of the world. With the vision to be the cultural conservators of every single culture in this world, Delphiads promote, teach, and enable to realize the importance of culture through cultural immersion into the kids in day today life. Delphiads promote the kids to exhibit, present, and compete their arts and cultural skills to the world. Other than the traditional business ventures, Lakshmi’s is actively involved in the startup ecosystem as an advisor, mentor, investor and cofounder with more than 60 plus companies in various markets, they are engaged with deep technologies like Bloch chain, Artificial Intelligence (AI), Cognitive analytics (CA), Deep Learning (DL), Machine Learning (ML) in Edutech, Fintech, Clean Tech, Health Tech, Prop Tech, Mobility and Food tech that are helping people to Learn More, Earn More, Live more and Give More. Lakshmi co-founded one of the India’s largest franchising consulting and advisory company franchise connect India (www.franchiseconnectindia.com), the second largest franchising advisory enterprise in India, operating in India, Sri Lanka, Bangladesh, Nepal and Burma with more than 5000 brands advised in last 8 years across various domains from creating the franchising business models to globalizing their brands. Lakshmi shares his Business learnings through active participating in various forums in the leadership role. He Co-Chairs IBREA – International Block Chain Real Estate Association, IFA – International Franchise Association, INQ – Global Ambassador to Global Fintech Accelerator out of Australia and India other than as a honorary speakers in various forums. On a personal mission Lakshmi, With a vision of creating impact and touching lives as much as possible in this lifetime, Lakshmi advocates everyone to have a ” Mortgage Free Home Ownership “, a mission to fulfil the housing needs of billion aspirational people though a systematic saving to own a home. He reinstates owning a home, creates psychological security and Financial Prosperity. Having a place to live is everyone’s Basic Need and Birthright and we would like to help everyone to full fill their Basic need and Birthright. Lakshmi is fascinated about the entrepreneurship journey of every entrepreneur and speaks in various forums on a topic of “Spiritual Entrepreneurs”, a topic connecting spirituality and entrepreneurship, the relationship between cosmic forces in the journey of life. He is a regular speaker in various conferences, events and Academic Institutions. 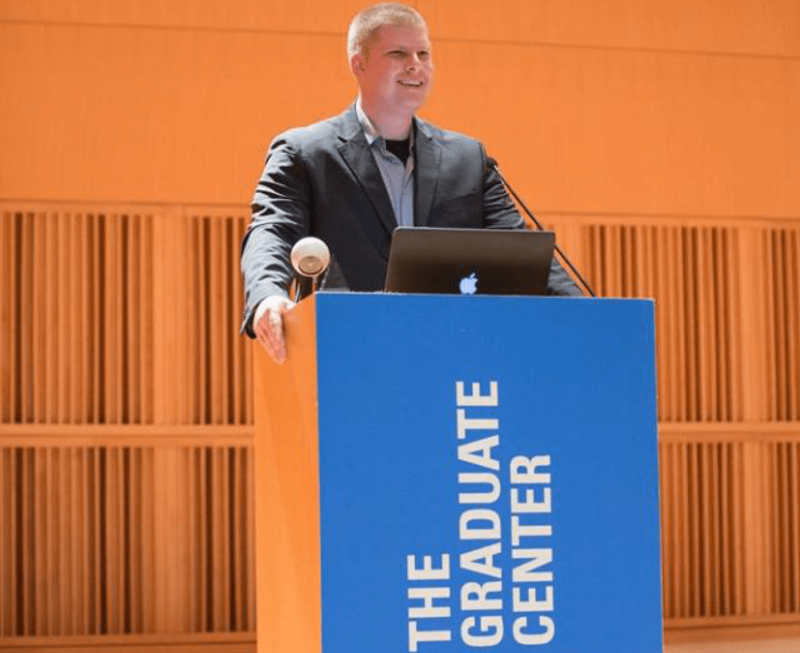 Derek Lundsten is a serial entrepreneur, co-founding and leading half a dozen businesses across the healthcare, consulting, technology, and training industries. His daily operational role and where he currently spends the majority of his time is as CEO of SCRIMMAGE, a modern mobile learning, development and training technology SaaS firm with a global footprint. 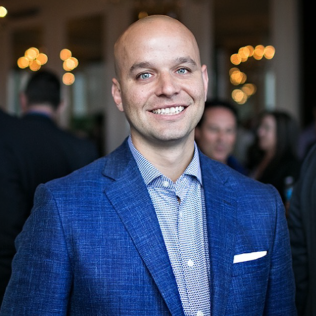 Derek has built and leads this dynamic growth business and a stellar team, overseeing its Sales & Marketing, Client Services and Technology divisions to ensure a proper alignment between evolving customer needs and innovation. Customers include a number of Fortune 100 and 500 organizations as well as startups and SMB’s. SCRIMMAGE’s mission is to make learning fun by personalizing the experience to users and allowing them to integrate learning with mobile devices and more traditional learning experiences. Prior to his entrepreneurial endeavors, his business experience focused on Business Development and General Management at leading research, intelligence, technology and training organizations, by delivering successful solutions and driving customer retention. Derek is active on a number of for and non-profit boards, as well several advisory roles with start-up firms and various trade organizations. He is a prolific networker and dealmaker always on the lookout for exciting new technologies, companies and investment opportunities, especially those with the potential to create massive positive societal impact while growing in financial success, ultimately empowering people both in business and in life. Derek holds a B.S, double majoring in Philosophy and Psychology from James Madison University, and is an active speaker on the topics on entrepreneurship, technology, and healthcare among others. Nimish Mistry is the Chairman of the Board at the Mistry’s family office, President of The Dreamworks Media Company and a stakeholder in multiple companies globally. He has been interviewed at NASDAQ for his family office contributions. He is an impact investor and has invested in a number of industries and asset classes globally. His investments come with a humanitarian touch. He has worked with Fortune companies as well as venture capital funds. He has great regard for family values and adheres to the principles of Vedic Arthashastra, a 5000- year-old Indian management philosophy. He, at age 26 has been awarded as The National development Jewel of India, with a Gold medal. Nimish’s business hubs are London and the US. Apart from heading his family office and other companies, he has developed brands like Auto Tax management, CureMe life, Active Victim and many others. Of these, the closest to him is Active Victim which addresses the raging problem of Gun Violence in the United States. He along with his team, have developed a hands on training program to take action in the event of active shooting incidents. He has also made a short film on the issue. Nimish is also a mentor at Ramenworks, where he guides companies and entrepreneurs at no cost, it is his way of giving back to the society. He is a graduate with a bachelor’s degree from VJTI in Mumbai India and holds a Masters of Science from Clarkson University, NY. He pursued contract law at Harvard University and is currently pursuing executive education at the Massachusetts Institute of Technology’s Sloan School of Business in Artificial Intelligence. Evander is a Digital Currency Council-Certified Bitcoin Expert as of May, 2015, and Certified-Blockchain Expert by The Blockchain Council in April, 2018. Evander has developed a knack for calling undervalued digital currency investments at the right time. He called the growth of Ethereum in February of 2017 in his Bitcoinist article. ETH was trading in the $10 range and ninety days later, it passed $400 USD in value. Evander also recommended Antshares buys in August of 2017 for $10. It soon rebranded to NEO, was hailed as “Chinese Ethereum” and passed $135 in value, six months later. Before entering the Bitcoin community, Evander was an Executive Officer on Wall Street for J.P. Morgan from 2008-2011. Ramesh Haridass is a first generation Indian American entrepreneur successfully building and managing his business TSS group over the past 30 years. Among some of the major projects Ramesh is involved in is the creation of a 100,000MT per annum of Sodium Methylate capacity in North America along with a dedicated 100,000MT Methanol plant in Iowa. 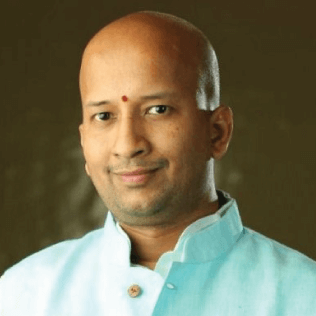 Ramesh is the quintessential entrepreneur who strongly believes in the wealth creation process and is relentlessly working on establishing himself as a global player in the industry. Ramesh is a Mechanical engineer with a Masters in business administration from Hyderabad university. His biggest ambition is to touch millions of lives during his life time. 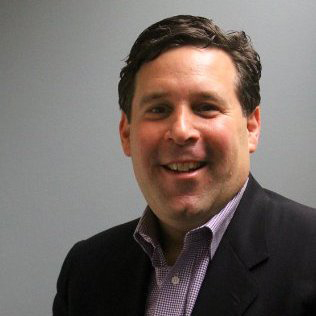 Bret Siarkowski is a founder of MedScience Ventures (MSV) and a Member of the General Partner. Mr. Siarkowski is a seasoned entrepreneur with over 20 years of experience initiating and leading technology companies in the design and application of innovative market-demanded solutions, as well as creating new markets. His extensive experience spans the mobile, gaming, healthcare, software, semiconductor and electronics industries. Mr. Siarkowski is a Limited Partner at Kodiak Venture Partners, angel investor and serves on the Board for several technology companies. He has held visionary roles at industry leading corporations including GSN Games, Cadence Design, Synopsys and Digital Equipment Corporation and as well as startups such as Chrysalis Symbolic Design and Verplex Systems. Bret is the founder of CaseNET Inc., an enterprise care management healthcare software company. He is a co-founder of AbleRoad, a community effort that connects people with disabilities, families, friends and caregivers with accessible places. Bret is a co-founder and board member of Biofficient Inc., the “Match.com” for the Biotech Industry, automating the RFP/procurement process for clinical trial sponsors and service providers. Mr. Siarkowski holds a BSEE from Northeastern University and an MSEE from the University of Southern California. Mr. Siarkowski is an active Mentor in the Northeastern University Health Sciences Entrepreneurs organization. He holds multiple patents that cover both software and hardware industries. A Patent Attorney and former Patent Examiner with the US Patent & Trademark Office, JiNan Glasgow George is an IP practitioner with experience across a wide range of technology fields, serving clients in the US and internationally. 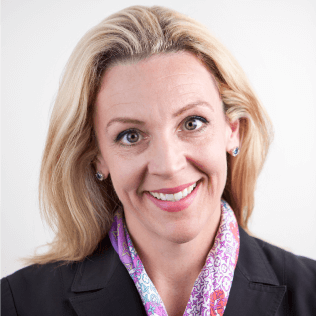 She is a registered patent attorney with the North Carolina Bar and the USPTO and the founding partner of Neo IP (formerly Triangle Patents, PLLC) in Durham, NC, USA (www.neoipassets.com).